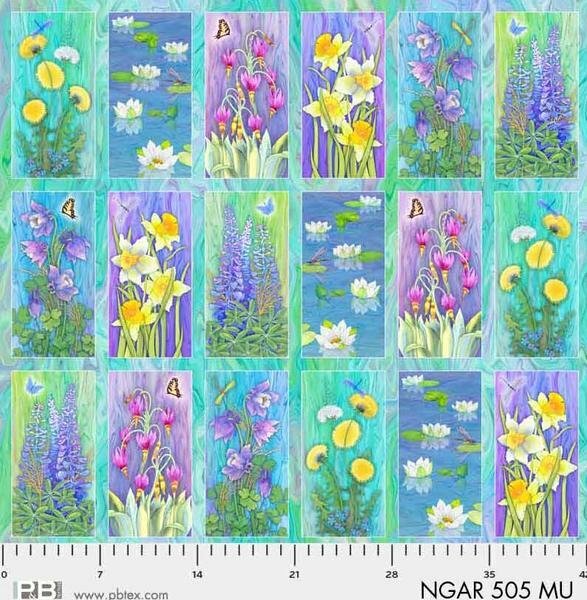 Nature's Garden by Teresa Ascone for P&B Fabrics. Digitally printed fabrics, 100% cotton, 42-44" wide. This panel contains 18 blocks as shown. Each block is approximately 6"x12".